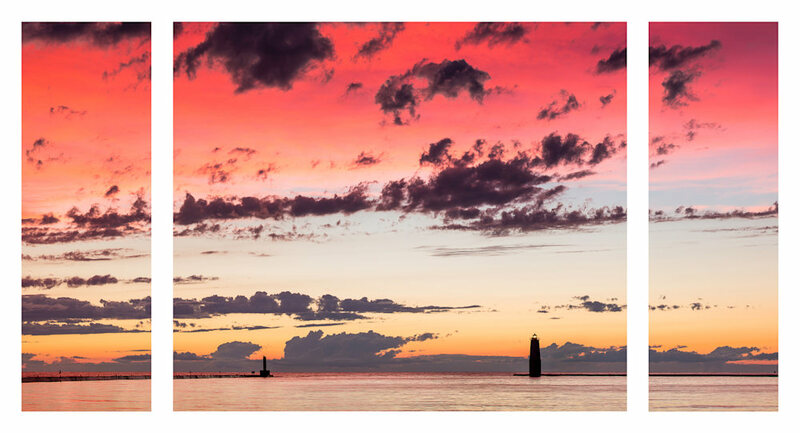 The original image is printed as a triptych of canvas gallery wraps as a combination of two 24"x8" panels (left and right) and one 24"x28" panel (middle). This will cover a total of approximately 47" of wall width (with 1.5" spacing between the panels) and 24" of height. The original image is printed as a triptych of canvas gallery wraps as a combination of two 36"x12" panels (left and right) and one 36"x42" panel (middle). This will cover a total of approximately 70" of wall width (with 2" spacing between the panels) and 36" of height.